Our programs empower our members with physical skills and the mental fortitude needed to handle real life scenarios. Krav Maga Toronto has a comprehensive curriculum for beginners and our advanced members. The curriculum is developed to give students scenario-based, realistic training. 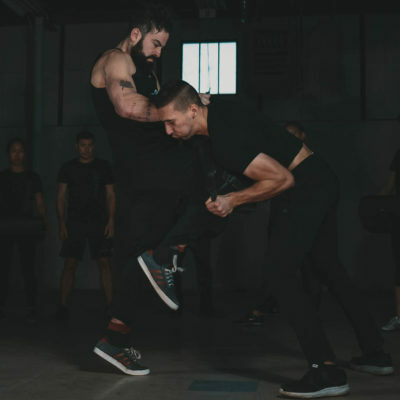 Krav Maga Toronto’s adult program is for those who want to learn practical and decisive self defense techniques that have been proven all over the world in real life scenarios. Students learn striking, choke and grab defences, ground fighting, multiple attacker, weapons defences and situational awareness. Worst case scenarios are not always immediately obvious. What would your response be to an escalating scenario? Fight, flight, or freeze? You always fight the way that you train. There are no rules in Krav Maga. We recognize that fights are never fair. Surprise attacks can happen to anyone anywhere. Our program has multiple levels that move through the most common to increasingly complex scenarios. Classes are offered at different times every week and our curriculum runs on a rotating schedule, so you can have flexibility fitting us into your lifestyle. Krav Maga Toronto’s curriculum is designed to address dangers that a woman may face. Our training prepares you for common scenarios, including on public transit, in confined spaces such as elevators or stairwells, and much more. You will train in practical effective techniques and learn to recognize the signs of a potential attack in order to know whether to run or take immediate action. We understand what you will need to protect yourself and we will give you the tools and a skill-set that works under stress. Krav Maga Toronto offers free trial classes so you can be sure we’re right for you.